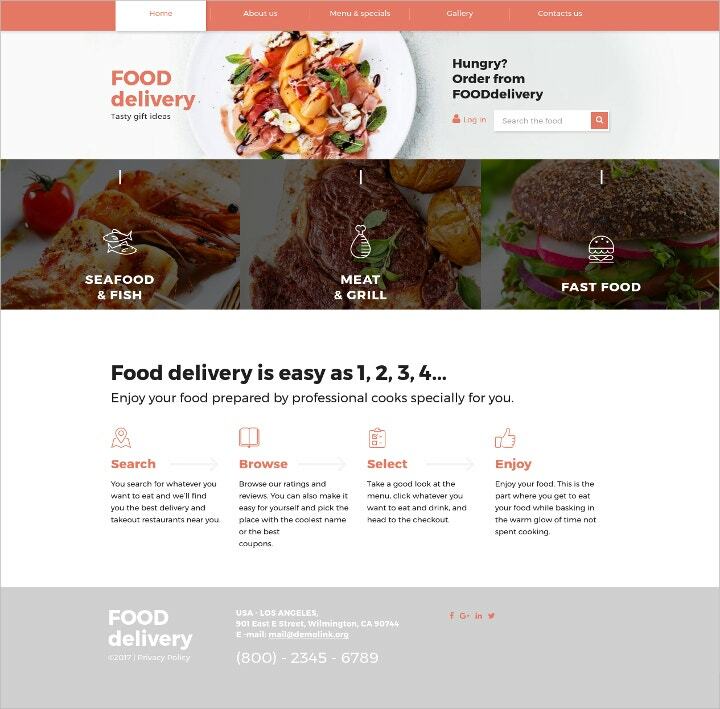 Running a catering business in itself costs a lot of time, energy and money; operating a website and keeping it functional is expensive, requiring manpower and skills from multiple people. A starting entrepreneur might not have the spare resources to invest in professionals to build his website from scratch, which would require a team of at least one web designer, developer, and graphic designer. 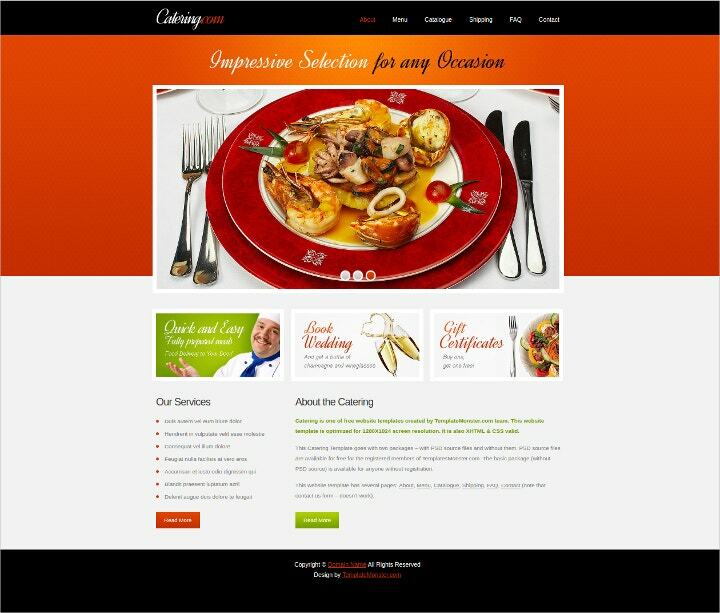 It is advisable to take advantage of the many WordPress Themes and Templates made especially for food business connoisseurs and catering professionals. 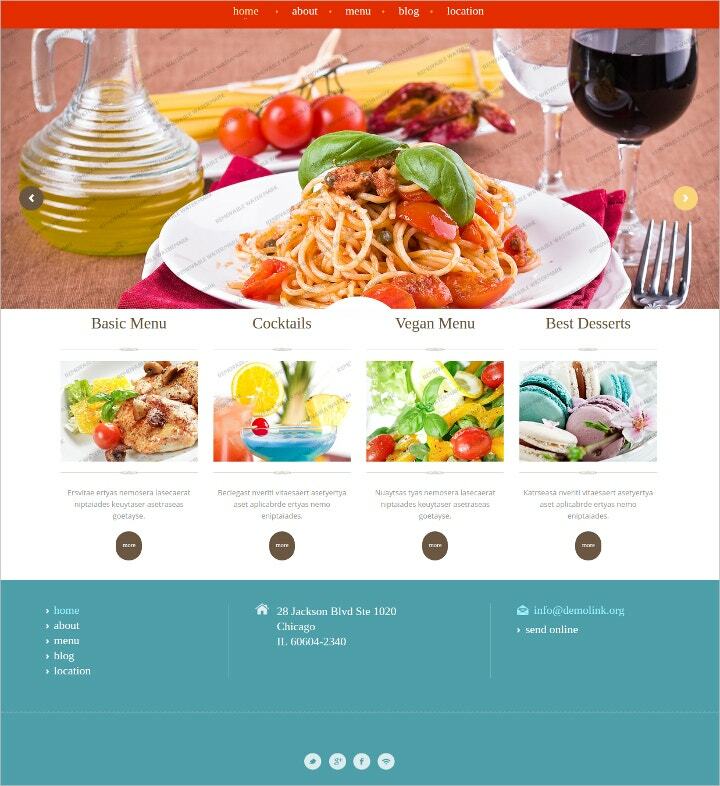 There are a lot of restaurant templates to choose from, even responsive themes which adjust the content based on the resolution of where you are viewing the website from. 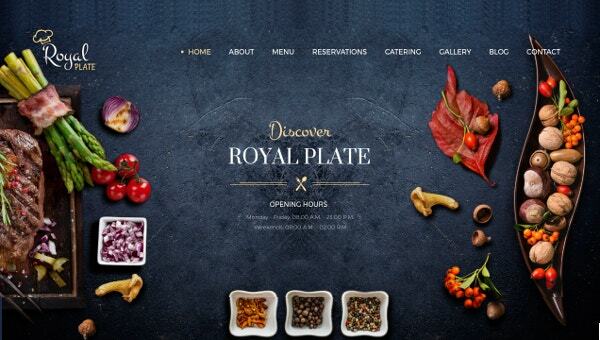 Royal Plate is a tasteful WordPress theme designed by Pixel Industry. Its sassy combination of cursive and sans serif fonts, as well as the usage of neutral and subtle tones, creates the perfect ambiance for any company in the food industry. This responsive template is minimalistic, simple and clean with a stick to the top menu that allows customers to scroll down without the need to scroll back up. This theme has a valid HTML5 semantic coding template ensuring that the website will be easier to edit and will have an impressive SEO ranking. 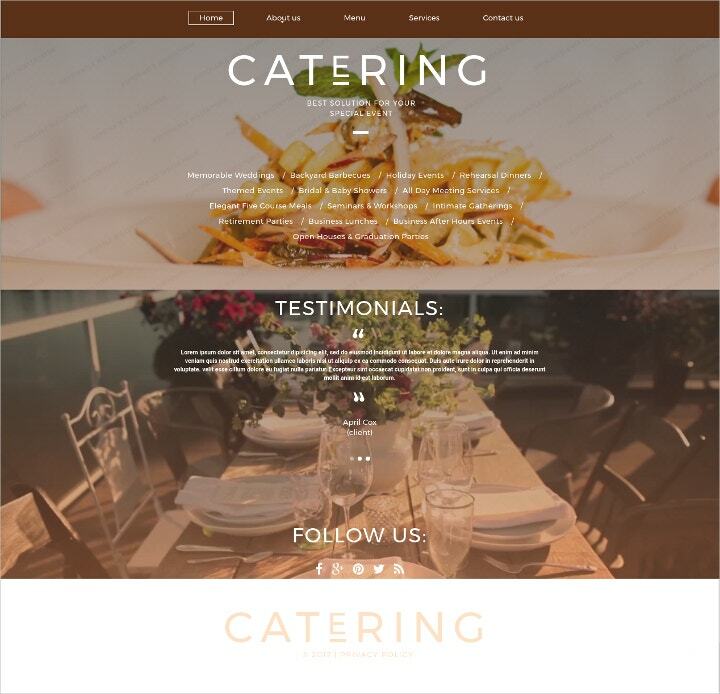 Catering is a clean and responsive HTML5 template created with Bootstrap suitable for any food business such as bakery, small cafe, restaurant or catering service. 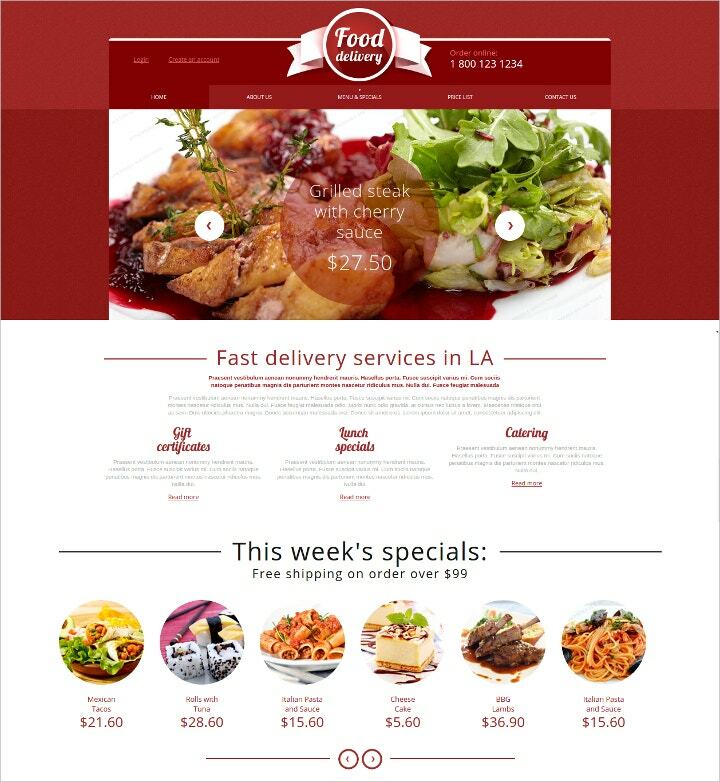 There are 6 modern homepage layouts suitable for functions such as promotions, online catalog or menu and others. This responsive website design utilizes a parallax effect for a more 3D experience during mouse scrolls and a background video which allows owners to upload video snippets into the homepage. Ambrosia has a selection of 3 different themes, one-page, multi-page (light) and multi-page (full), with functions such as reservation, video embedding and e-Commerce integration. This template is perfect for restaurants and bistros. 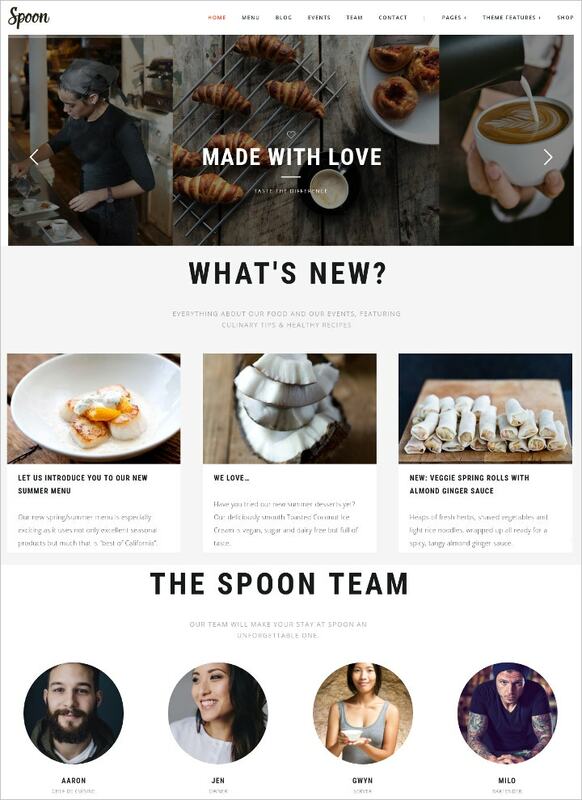 Spoon is a WordPress theme that allows users to create unlimited food and drink menus, showcase events, sell products and write on blogs. 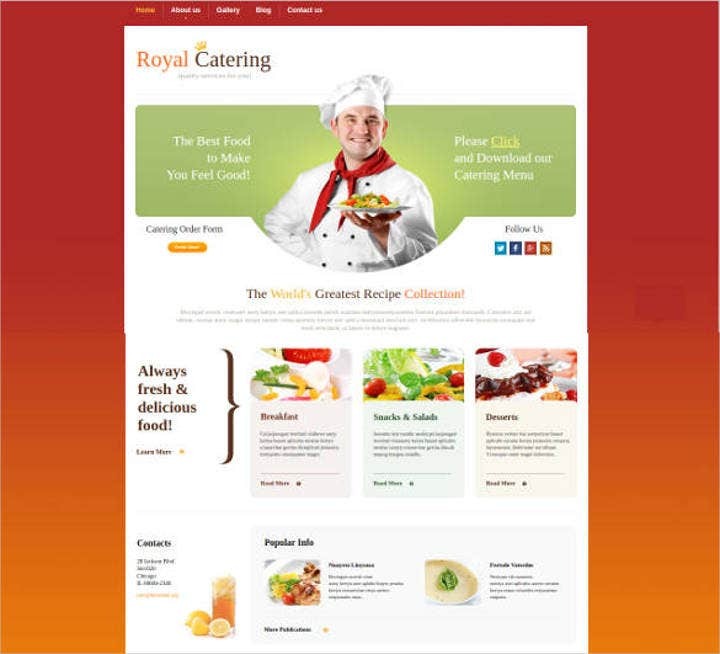 Its responsive layout ensures that visitors will not have a hard time navigating through the website. 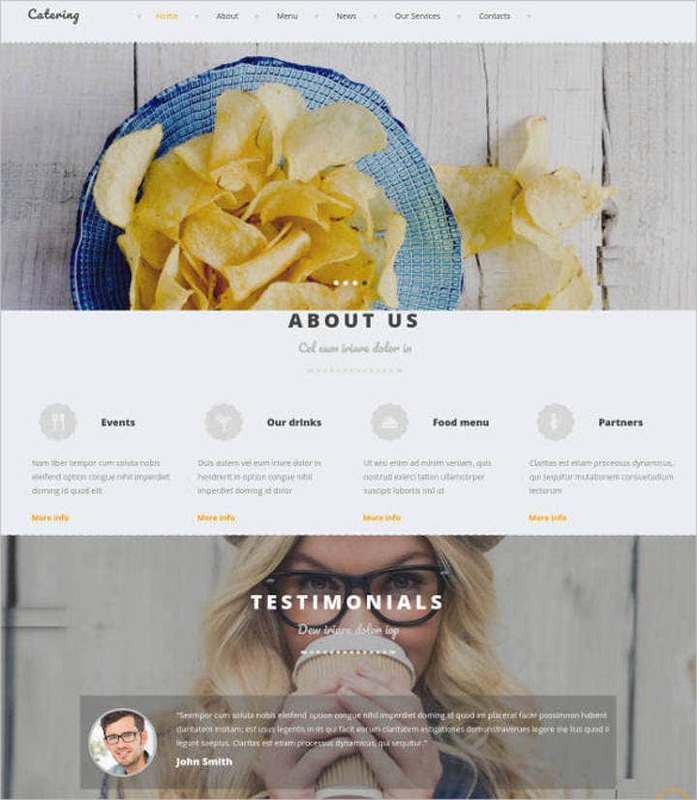 Frank and Friends is a Bootstrap template that is customizable and unique. Seemingly inspired by hotdog and Italian food, the template in red hues features fun animation for the menus. 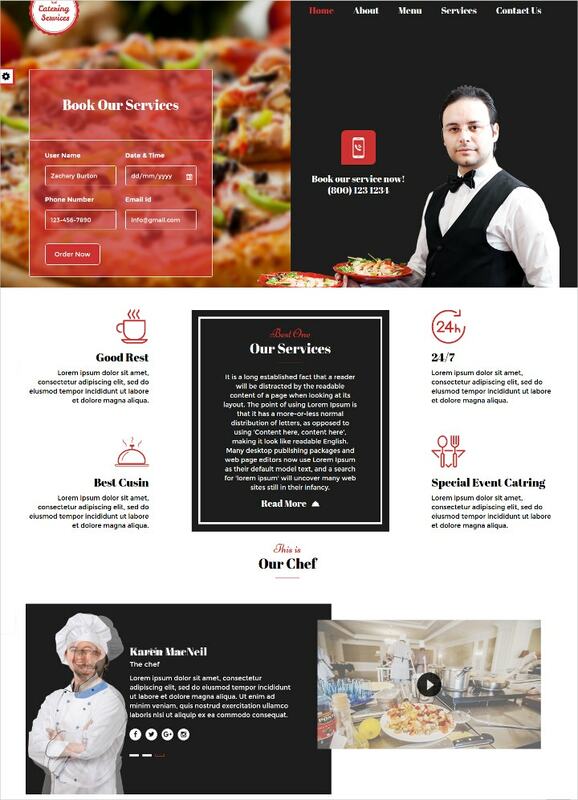 If you are looking for an interactive template for your restaurant’s website, this could take the cake. 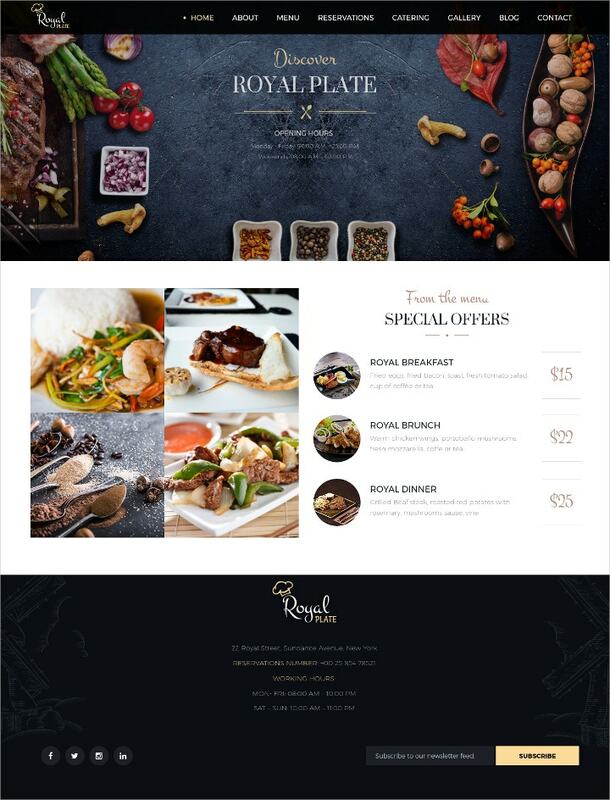 Although originality and creativity are important in making a website, your budget could be put to better use in professional food shots and restaurant maintenance. Some of the templates available for download have easy step by step guides so that even beginners with no coding or design experience can create professional-looking websites for a low cost.